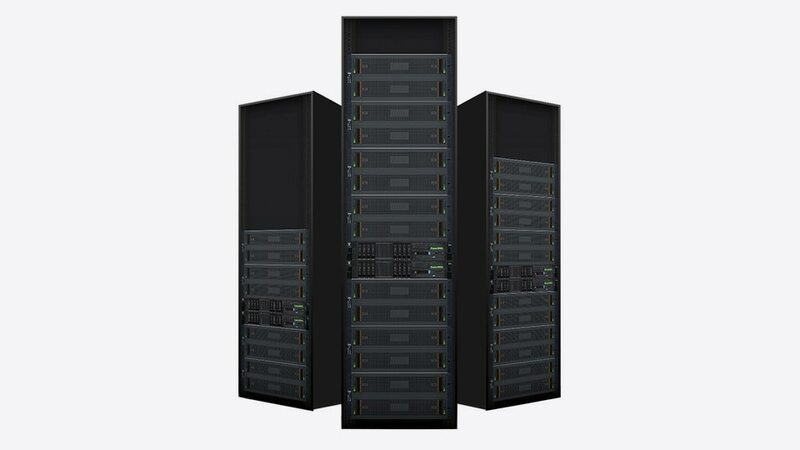 IBM Elastic Storage Server is a modern implementation of software-defined storage, combining IBM Spectrum Scale software with IBM POWER8® processor-based I/O-intensive servers and dual-ported storage enclosures. IBM Spectrum Scale is the parallel file system at the heart of IBM ESS. IBM Spectrum Scale scales system throughput as it grows while still providing a single namespace. This eliminates data silos, simplifies storage management and delivers high performance. By consolidating storage requirements across your organization onto IBM ESS, you can reduce inefficiency, lower acquisition costs and support demanding workloads. IBM ESS can deliver up to 40GB/s of throughput and scale-out to exabytes of storage with IBM Spectrum Scale. Growing data can be managed and tiered across practically any storage. IBM ESS uses IBM Spectrum Scale RAID with de-clustered erasure coding to distribute and protect data. Support for RESTFUL APIs allows for reduction in OPEX. Enjoy the benefits of both on-premise and off-premise storage with hybrid cloud storage capabilities. Native tiering capability allows moving data to or from the cloud based on business policies. Share data across multiple locations as a single namespace with Advanced File Management, intelligent routing and caching.